Our team at the Hardy Law Group, PLLC, is committed to providing high-quality legal services to clients throughout the Fort Worth and entire Tarrant County area. 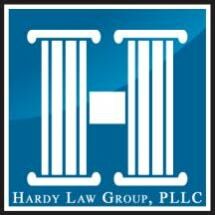 Founded by Texas attorney Ryan Hardy, we are located in the heart of Fort Worth. The attorneys and staff at our law firm are completely dedicated to finding positive and sustainable solutions to family law-related concerns. Our team is comprised of individuals who know how to get results in both the courtroom and around the negotiating table. From child custody to property division, we know that certain legal concerns affect every member of the family, which is why we seek solutions that not only resolve even the most complex of situations, but also lay the foundation for a strong and stable future. It takes both experience and an in-depth knowledge of the law to effectively navigate family law concerns, which is why clients continue to turn to us for guidance and knowledgeable counsel. For more information about how the team at Hardy Law Group, PLLC, can help you with your family law concern, you can schedule an appointment to meet with a member of our team at our downtown law office. A free initial case evaluation can help you understand your legal options and how you can protect your interests.